What advice do you have for advanced students for their daily practice when they are too busy? 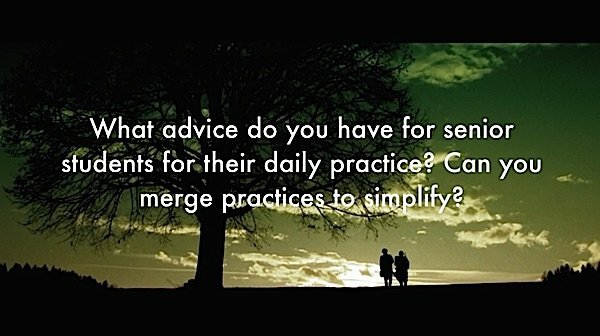 Can you merge practices to simplify? Background: The student asking the question had received many initiations and commitments over the years and wanted to simplify, or even combine practices without giving up commitments or breaking vows. 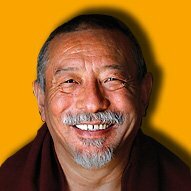 He also had several commitment practices with Guru Yoga, wanted to know how to simplify. 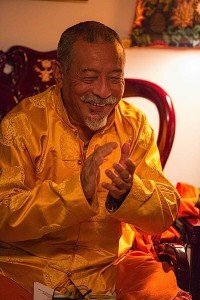 Rinpoche, in his answer emphasized the importance of commitment — “either do … or don’t do” that’s up to you — but if you do, he advised focusing intensely on the Yidam practice, while still undertaking other commitments in more concise form. 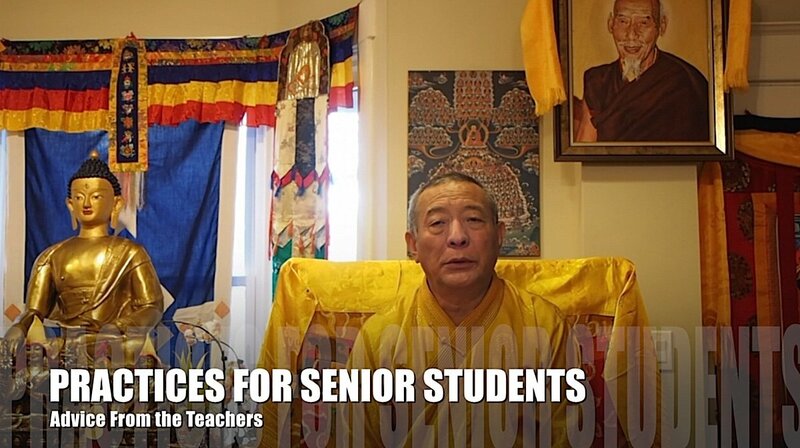 Zasep Tulku Rinpoche: “Senior students should do daily practice. Do the minimum practice, if you are having some difficulties. At the same time, it is important to choose one practice as a main practice. 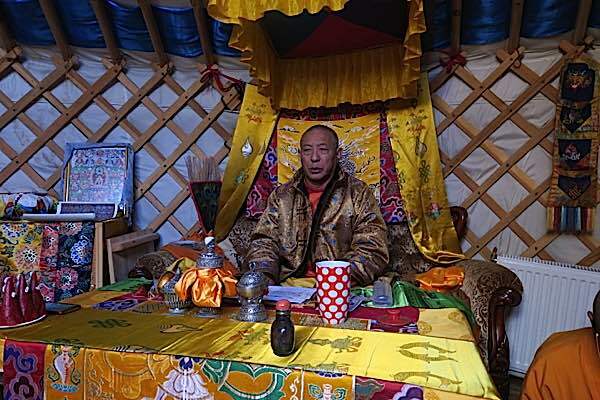 Zasep Tulku Rinpoche is currently teaching in Mongolia (photo of teaching in a traditional yurt (tent) April 2017) — after several weeks of intense teachings all over Australia. 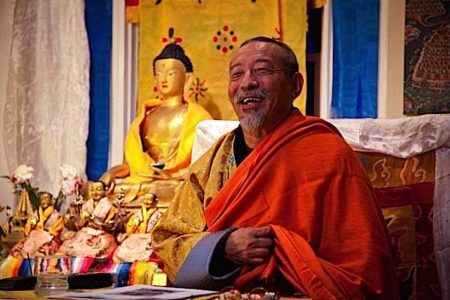 In April he will be teaching in Zuru Ling Vancouver, and beginning May 20, Rinpoche will teach at Gaden Choling Toronto for two weeks in 2017. Let’s say you have your particular deity, what we call Yidam, or principal deity, a deity you feel very connected to. So, you choose one as a main Yidam. Do that practice, spend more time on that. Do that practice, sadhana, mantras. Then, other mantras, as a minimum commitment. I think that would be good. You can’t really do that because you don’t have permission. You know, we can think about things like that, trying to debate in our mind, or trying to justify. It doesn’t really work like that. “Six session guru yoga is a commitment after receiving initiation in a higher yoga tantra like Yamantaka, or let’s say Guhyasamaja. That is a commitment, one has to do. One must do that. You see, in the short sadhanas, there is almost none. Maybe there’s a few words, a few lines about Guru Yoga. Very concise. So you can make it that way. Make it very concise.